Historians and experts find it hard to express quite how significant the development of rail technology was for the 19 th Century. Some have likened it to the creation of the internet in modern times and though that may sound extreme at first, you can see some significant similarities. Railways helped to create what were unimaginable connections, while creating huge new opportunities for the entire country. The significance of what was happening when rail technology first began was acknowledged. In 1832, there was roughly 166 miles of track, but after just another 18 years there was another 6,393 miles. Each year, the rail sector contributes more than £7 billion to the UK economy, and more than 85,000 people have a job in rail. Their development was not greeted with unanimous glee, but then, how many truly significant inventions that are going to affect the mass populous are? One thing is for certain; rail technology has shaped the way we see this country, and the world. People were now able to develop their businesses in a way never seen before, thanks simply to the rail. While people themselves, who may have been confined to their own small, isolated corner of the country had the chance to freely expand themselves. 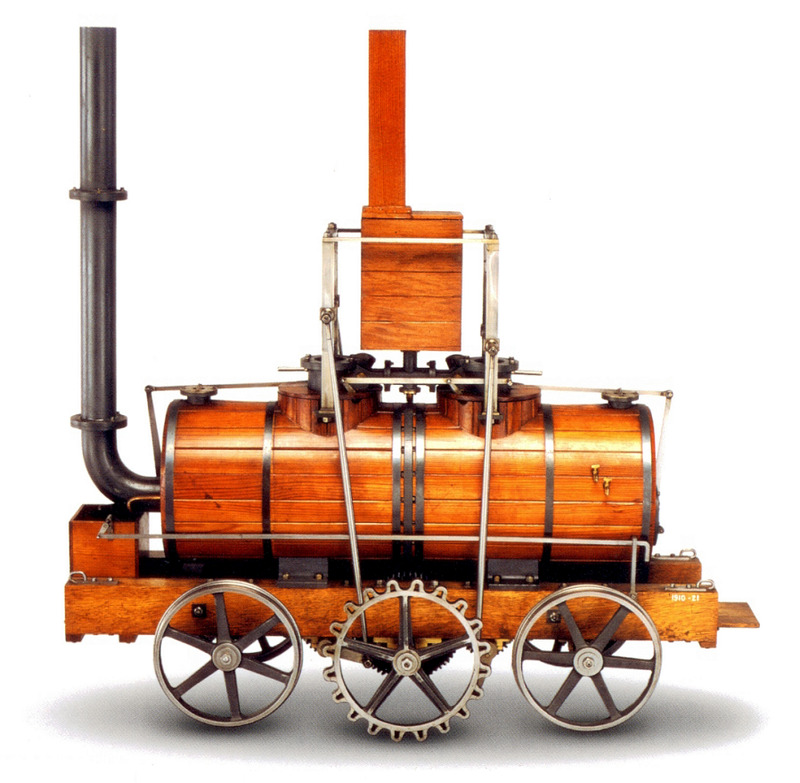 1804: Richard Trevithick’s Penydarren is the first successful locomotive to run on wheels. It was used to transport iron on a nine mile track. 1807: The Oystermouth Railway becomes the first passenger-carrying commercial locomotive, using horse drawn carriages on an old tramline. 1812: The Salamanca, built by John Blenkinsop and Matthew Murray, was created for the Middleton Colliery Railway and became the first successful steam powered commercial locomotive. 1825: Stockton and Darlington railroad open the first public railway in the world to be run on steam power. 36 wagons ran for two hours on a nine mile track, powered by George Stephenson’s steam-powered coal train. 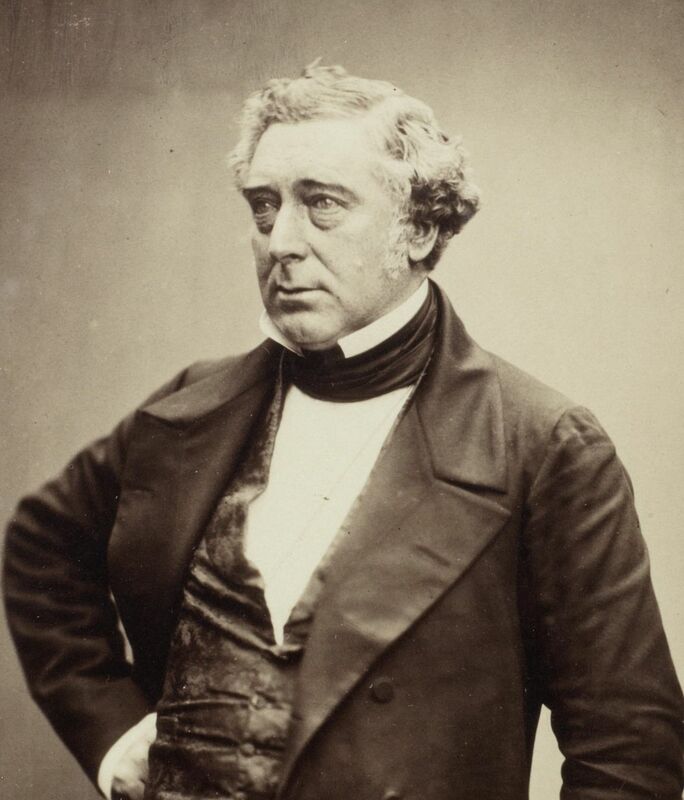 1830: ‘Invicta’, built by Robert Stephenson, powered the first regularly run railway to offer scheduled passenger services in the world. Canterbury was linked to Whitsable six miles away. 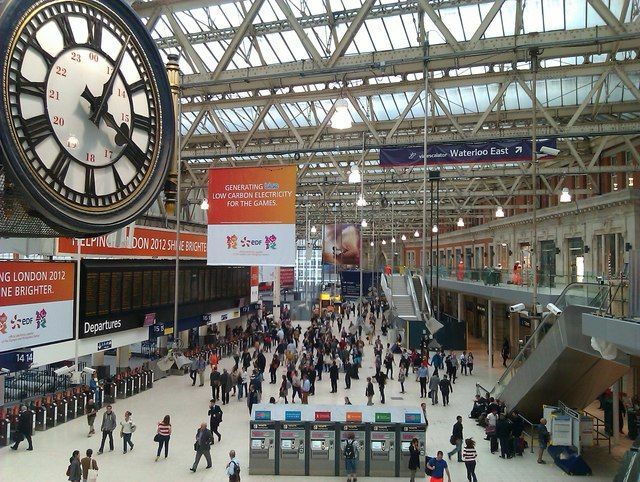 Fun Fact - Before 1840, there were different local times over the UK until November 1840, before the Great Western Railway adopted Railway Time. It was the first time that different local times were synchronised. 1840s: Large-scale merging of railways sparked the creation of the first single company. 1883: The first electric railway in the UK opens. Engineer Magnus Volk invented the railway in Brighton, which remains the oldest in the world and is still operating. Fun Fact: Many people were sceptical of the railway when it was first introduced; so much so that protests began against services running on a Sunday and by 1889, the ‘Anti-Sunday Travel Union’ had 8,000 members in nearly 60 branch offices across the UK. 1902: Automatic signalling is first used between Andover and Grateley. 1904: First electrified suburban railway line is opened, running between Newcastle and Benton. 1914: The government takes control of the railways after the break out of the First World War. This continued until private railway companies took back control in 1921. 1923: 123 railway companies is condensed into just four, London Midland and Scottish Railway, the Great Western Railway, Southern Railway and the London and North Eastern Railway following an Act of Parliament. February 1923: Arguably the most famous train of all time, the Flying Scotsman was built in Doncaster for the London and North Eastern Railway (LNER), costing £7,944. The holder of two world records, it ran the first ever non-stop London to Edinburgh service in 1928, taking just eight hours. 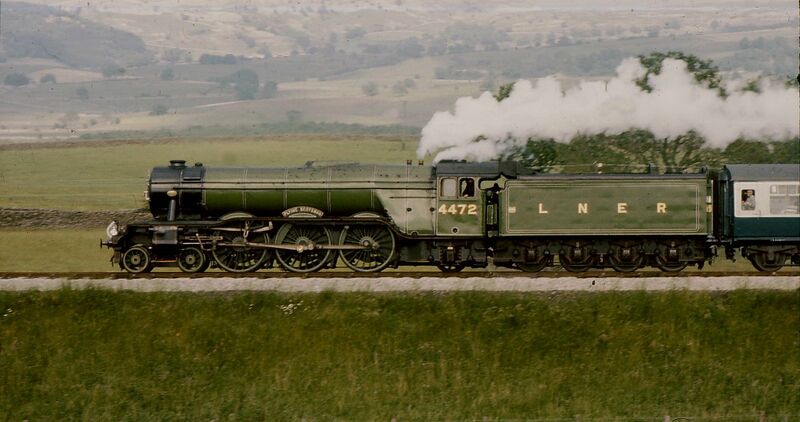 In 1934, it became the first locomotive in the UK to reach 100mph. 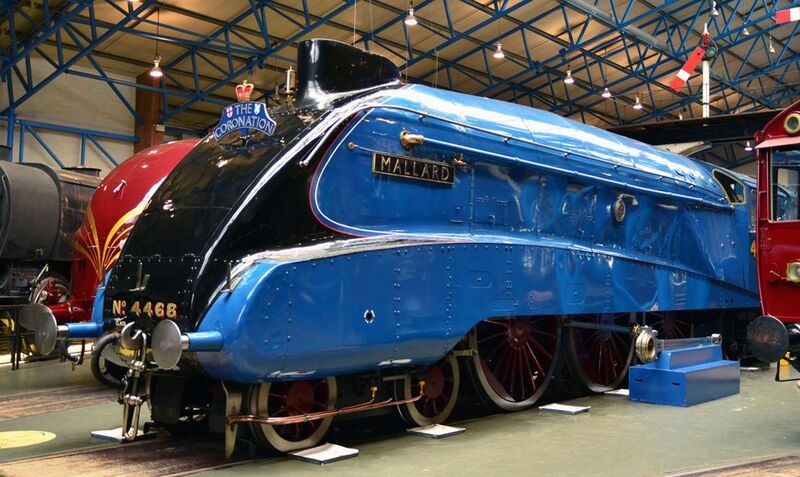 1938: Another World Record breaking train, the Mallard is one of the most iconic trains in British history. Built in 1938 in Doncaster, The Mallard managed to clock a record 125.88mph on the East Coast Line in the same year. In its 25 years, it covered 1.5 million miles, or 60,000 miles a year. Withdrawn from service in 1963, the Mallard can now be found in the National Railway Museum, where it was deservedly treated to a full restoration back in the mid-1980s. 1940: To help with the war effort, all of the rail companies operate together as one organisation. 1947: ‘British Railways’ formed under the Transport Act, nationalising the railways. 1950s: Diesel and electric trains replace steam. 1993: The British Coal and British Rail Act 1993 was developed by John Major’s government. 1994: The Conservative government create Railtrack, which takes control of the running of tracks, signals and stations from British Rail. Fun Fact: The longest station platform in England is in Gloucester, measuring 602.6 metres long, around six times longer than a football pitch. November 1994: The Channel Tunnel is created, creating a service between London and Paris. 2002: Railtrack is bought by Network Rail, taking in its responsibilities. Fun Fact: The price of a single ticket from London to Manchester rose by 208%, from £50 in 1995 to £154 in 2013. 2014: In 2014, there were around 1.6 billion passenger rail journeys, which is more than double the 801 million made in 1997.